Resources for finding videos, images and sound clips to use in assignments or teaching. Copyright - how may I use video, image and sound? If you want to find images, audio or video to help with your teaching, learning or research some of the following resources may be of use - many of them include material specially licensed for educational use in Higher Education, others are freely available websites and collections and some provide details of content which may be available to purchase or find in other libraries / archives. The content in these resources may be subject to restrictions on how it may be used - check the guidance on the access page for the resource or the help pages on freely accessible websites. You can also contact your liaison librarian or the Multimedia Manager for advice. Box of Broadcasts (BoB) is a collection of TV and radio programmes from free-to-air channels. Includes content from BBC TV and radio, ITV, Channel 4, Film4, 10 foreign language channels and the BBC Shakespeare Archive. Set new recordings and playback programmes already recorded. Great features for education including; keyword searching of transcripts - skip straight to the mention of your keyword, clip and playlist creation. 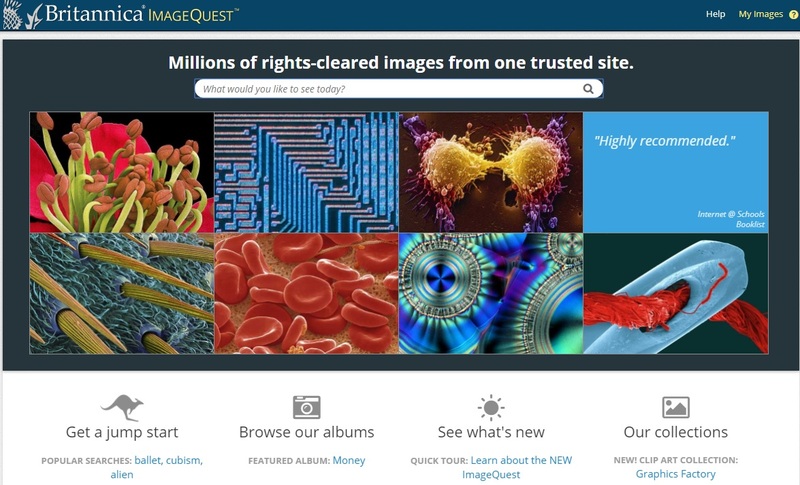 ImageQuest is a high resolution image library of over 2.7 million images which are rights-cleared for academic use from various collections including National Geographic, Getty Images, National History Museum and more. Box of Broadcasts (BoB) is a collection of TV and radio programmes from free-to-air channels. Set new recordings and playback programmes already recorded. Content back to 1990s. BoB includes BBC radio programmes, including music, documentaries, news and drama. iTunesU is an an app for your mobile device which lets you listen to clips from lectures on a variety of academic subjects from Universities around the world. You can use the following resources to find out about video and sound which may have been broadcast or commercially produced as a VHS, DVD or streaming resource for purchase. They can be useful if you need to check the date a programme or film was broadcast or who produced a video. The Genome Project is based on scans of Radio Times magazine listings published between 1923 and 2009. Searches bring up a synopsis and a cast list. Search over 2,000 websites relating to moving image and sound materials. These have been subdivided into over 40 subject areas. Provides a simultaneous search across the BUFVC's 9 online databases relating to film, television and radio content dating from 1896 onwards. Listings of UK television and radio programmes including terrestrial, cable, and satellite television (with regional variations), all national and many local radio stations since 1995. Your subject liaison librarian will be able to help you analyse your topic, improve your searching skills and suggest the best places to find information and get hold of it. Especially useful if you only have limited access to your project supervisor. Find high quality images for all subject areas in Britannica Image Quest - use the search box below to get started! BoB Tutorials - Searching from Learning on Screen on Vimeo. BoB Tutorials - Creating Clips from Learning on Screen on Vimeo.